Athens, could anything less wonderful than the Acropolis allow us to tolerate the traffic and pollution that are just as much a part of this city. As you leave the inspiring Pantheon behind you and stroll down meandering cobblestoned alleys, you'll find yourself in the Plaka district. Filled not only with outdoor cafes and tavernas but also wonderful gift shops, that truly have something for everyone with a fantastic array of clothes, replicas and assorted wares. 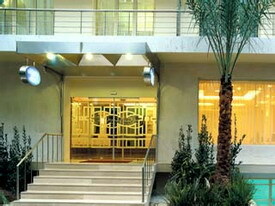 Accommodations tend to be centered around the plaka area or Syntagma Square (10 minute walk from Plaka). If you have two or three days then you must take an excursion outside of Athens to one of the major sites such as Delphi or Nauphlion. 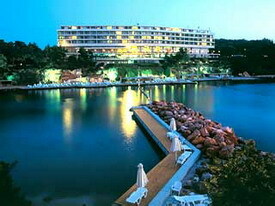 The world-renowned Astir Palace is a luxury resort on the Athenian Riviera, consisting of three five-star hotels, the Arion Resort & Spa, The West in Athens and the W Athens (opening 2008). Sprawling across 75 acres of sun-drenched gardens on a pine-dotted private peninsula, the resort complex boasts breathtaking views of the Saronic Gulf on the Mediterranean Sea. In a unique natural environment and just minutes away from Athens, the luxurious resort complex combines beauty with luxury, relaxation and impeccable service. The complex's prime location is convenient for reaching the cosmopolitan city centre of Athens, enjoying all the privileges services of a modern city and its cultural heritage , Acropolis and Olympic stadium. The first world-class luxury and award-winning hotel of the Astir Palace complex honors a 40-year tradition of five-star hospitality and superior level of service in the heart of the Athenian Riviera. Central location to all tourist sites. With its new renovation and management, it is certainly worth a try for those needing good quality hotel for a short stay. Standard rooms are very spacious and good rates are available when booked through local agent. 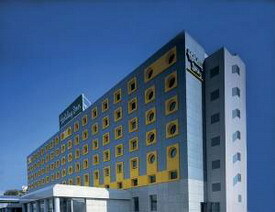 Hotel features 180 spacious regular rooms, 11 executive rooms and 3 suites. All units of the Holiday Inn Athens Attica Avenue have bath with hairdryer and backlit mirror, mini bar, safe deposit box and cordless phone.Cordless Internet. 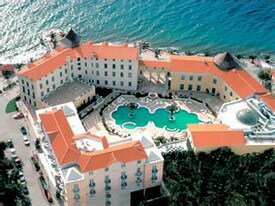 Indoor pool, Pool Bar, Kid's pool, Gym, Sauna, Jacuzzi, Smoking/Non smoking areas. The Grecotel Cape Sounio opens in 2004 to become a unique resort in one of the world’s most celebrated archaeological sites. 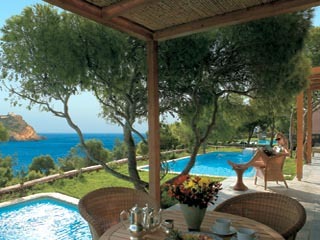 Grecotel Cape Sounio is more than just a resort, it is an experience. Like the Temple of Poseidon, clearly visible from most bungalows, the resort echoes the Attica landscape, the brilliant blue sea and the clear skies of the Aegean. Set amphitheatrically on a 75-acre estate on the edge of Sounio National Park, Grecotel Cape Sounio has 154 bungalows with private gardens (many with private pools). Imagine enjoying the Gods’ nectar and ambrosia on the restaurant terrace, ambling down the path to the beaches, submitting to a relaxing massage in the Elixir Spa – all within 38 kms of Athens International airport and 67 kms from the Acropolis in Athens! There are sports and activities for all the family – from a children’s corner to tennis courts. 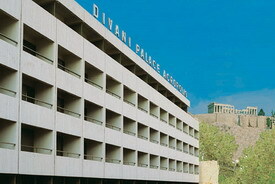 The Divani Apollon Palace & Spa is a luxury resort hotel situated in the exclusive area of Vouliagmeni on the Athenian Riviera, Greece. 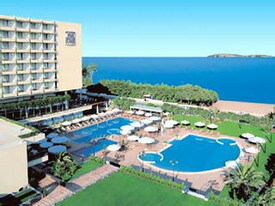 Enjoying a spectacular beachfront location, just 18 km from Athens city centre, the Divani Apollon Palace & Spa was the first hotel in Athens to become a member of the Leading Hotels of the World is unique in Greece for combining superb location, deluxe accommodation, excellent services, extensive conference facilities, gourmet cuisine and astate-of-art Spa-Thalassotherapy Center . 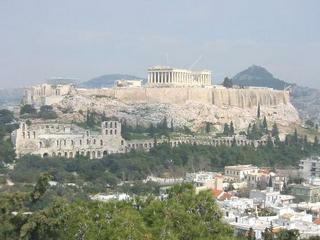 Convenient for Plaka and the Acropolis, a great base from which to explore Athens in comfort. Although no dramatic renovations have been done, it is well maintained and the standard rooms have good $ value from local agent. 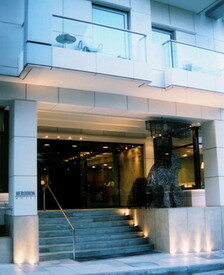 Downtown in the heart of Athens, Fresh Hotel is a stylish, urban resort, with unconventional atmosphere, cool and thoughtful service. With simple lines and vivid colours in a minimalist, sleekly designed sanctuary, the Hotel surrounds guests in absolute calm. Fine art hotelling in a luxurious resort. Heliport, personel battlers, swimming pools, jacuzzi and restaurants that can attend to every culinary preferance (Polynesian and italian cusine). 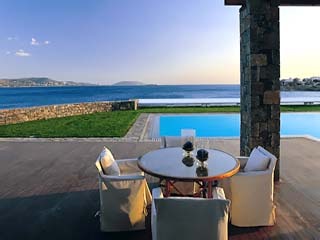 The suites surpass every expectation with private swimming pools, sauna, turkish bath and panoramic view of the sea. 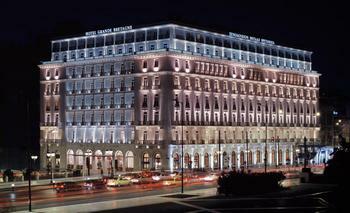 The Hotel Grande Bretagne in Athens is a perfect blend of stylishness, comfort and elegance. 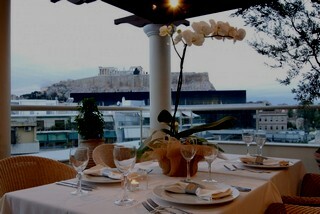 The most renowned hotel of the Greek capital. A prestigious location for all your stays, a sumptuous residence offering the best hotelier facilities with a flawless service. Even if not staying you must try the yogurt and honey massage at the SPA. 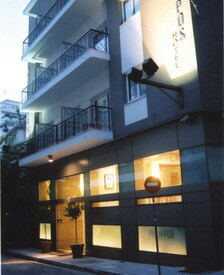 This nicely renovated hotel is on a residential side street not far from the Herodes Atticus theater. The usually quiet neighborhood, at the base of Filopappos Hill (itself a pleasant area to explore) is a 10- to 15-minute walk from the heart of the Plaka. Many of the small but appealing guest rooms are freshly painted each year. All units have good bathrooms as well as balconies. Practicality with a consistently high level of service. 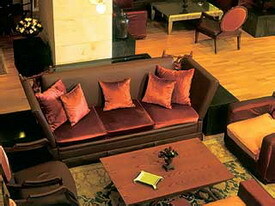 Relaxed and comfortable, the rooms are very spacious. High in demand because of good $ value for all that it offers. The local agent has block space which is important since many times space is unavailable directly. 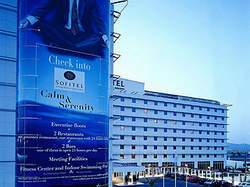 The Holiday Suites is an elegant and functional complex that is mainly characterized by a synthesis of comfortable Room amenities, complemented Hotel facilities and special accessional services. Holiday Suites is considered to be the ideal lodgement for any businessman or tourist. 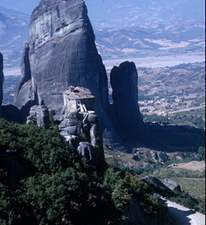 A nice way to see the classical ancient sites of of Greece is through Chat tours. If not enough time to self drive this is an easy and knowledgable way to see Delphi, Meteora, Mycenae and of Course Epidavros. Many variations and lenghts if you do not see yours let us know we can customize. The King George II Hotel is situated in Athens centre, in the heart of the business and shopping district, within walking distance from the Acropolis, Plaka the Old City and most of Athens sights and attractions. 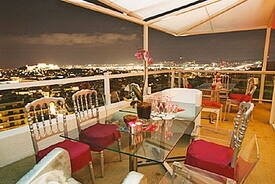 It is 10 km from Piraeus port and 39 km from International airport. 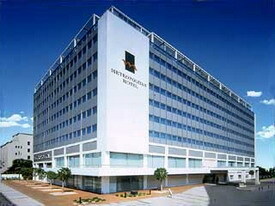 Metropolitan Hotel (ex Athens Chandris) with its unique cosmopolitan atmosphere, combines traditional hospitality and luxury with the most modern facilities that guests can hope for. Metropolitan Hotel is a fully renovated downtown hotel located between the airport and Syntagam Square and is great for those headed the next early morning to embark on cruise or fly to their next destination. This location is not for those wanting to have quick access to the city center as it is a 15 minute taxi drive to the busy city centre, 10 mins from the port of Piraeus and 10 mins from the domestic and international Airport. 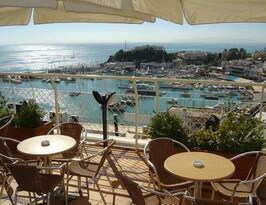 Overlooking the picturesque Microlimano bay of Piraeus, the hotel offers a panoramic view off the surrounding areas. 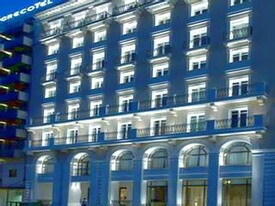 Centrally located, the hotel is near the port of Piraeus as well as the centre of Athens and such tourist sights as the Acropolis and Plaka district. The only hotel directly across from International airport. It is very quiet and so accessible for those flying in late or departing Athens early we highly reccommend this very High Quality hotel. Ideal location for those wanting to be in the Athens socialite district of 'Kolonaki' which has lots of boutique shopping and restaurants. Has recently remodeled many rooms and added many business services. The staff are warm and gracious. A truly Luxurious spa facilites has come to Greece, this region has always been a natural healing space but now we can enjoy it in luxury as well. Also nerby are natural theraml springs where one can also escape to.